There are different classifications or levels of AI in Mobile App Development Companies. It can be classified into strong and weak. Strong AI depicts programming that could mimic a human, in thought and activities. Weak just mimics human in activities. There is also restricted and general AI, this characterization depends on the extent of the capacity of the programming. And additionally, there are advantages and disadvantages of AI you should consider so your team can make an informed decision. AI has found use in our day to day lives. In travel and tourism, AI applications can be utilized to detect areas much effortlessly by utilizing augmented reality. Augmented reality superimposes computer-generated pictures of the real world view of the client, enhancing his/her view of the surrounding. This is additionally utilized in museums, allowing for a more vigorous client experience. AI can likewise be utilized for predictive composition and revision of human spelling. In the posting of photos via social networking sites, AI programming can recognize and identify a man’s face and can correctly tag the person. When it comes to imagination and creativity in mobile application development organizations, you can just find it in humans. AI machines are able to help in designing and creating but would not be able to think. So the creativity part will be always missing in AI technology and can only be found in humans. The AI devices do not have the sensitivity and feeling that is just found in humans. 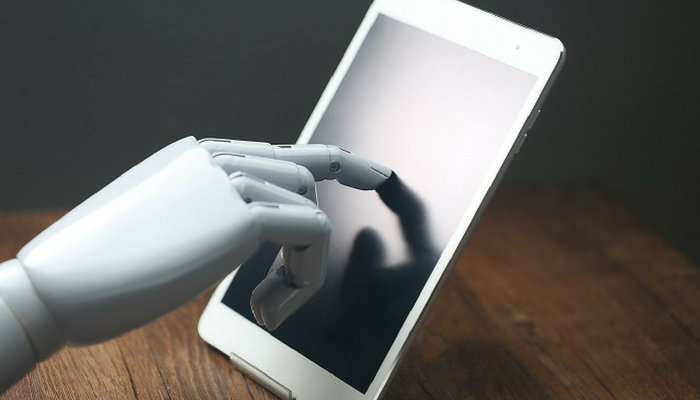 Another major disadvantage of artificially intelligent machines for mobile application development organizations is the cost. They are very expensive to build and significantly more expensive to manage and maintain. There is always the requirement for updates so they can coordinate the changing needs and conditions. In human beings, learning comes after the experience. But, this isn’t so with AI machines in the mobile application development organization. Obviously, they can store a lot of data; however, they can’t access this data in the similar way as humans do. Naiya Sharma is a Digital Marketer and Content Strategist at Seasia Infotech, a leading mobile and web app development company. She has a passion for writing engaging and helpful content and is best known for her ability to explain complex topics in a simple and digestible way. Along with writing, she also possesses a keen interest in managing digital marketing campaigns.